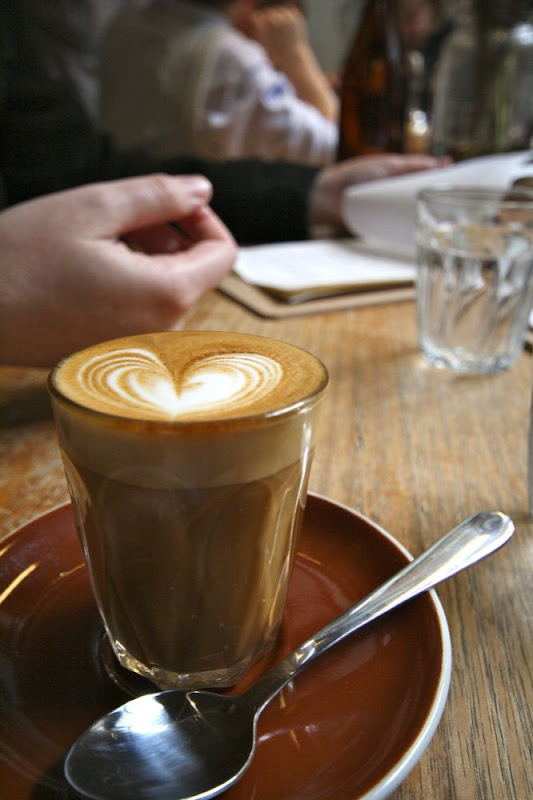 There’s a modern day axiom in choosing a cafe – if it’s popular with hipsters it’s likely to serve good coffee. 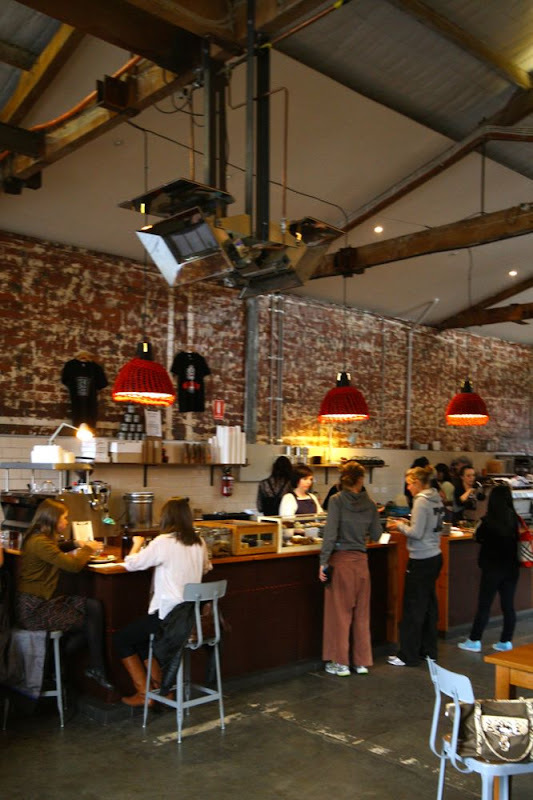 You can tell if a cafe is popular with hipsters by checking out the apparel of the average punter, or looking for the presence of a “fixie” push bike. These don’t look much different to normal push bikes, to the untrained eye, but generally take the form of racing bikes reappropriated for use on the roads. The real mark of a fixie is the lack of hand controlled break, they’re the old skool “back pedal break” bikes. 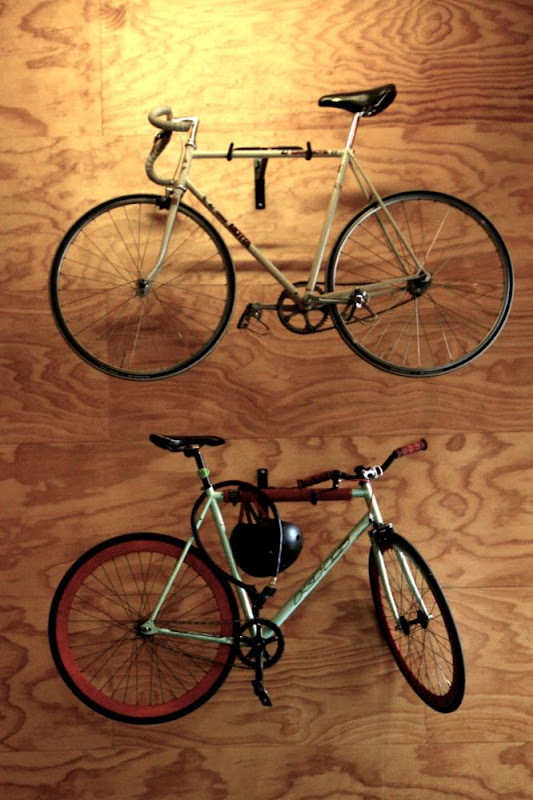 The Seven Seeds Roastery takes the guess work out of the equation by proudly displaying some fixies on the wall. 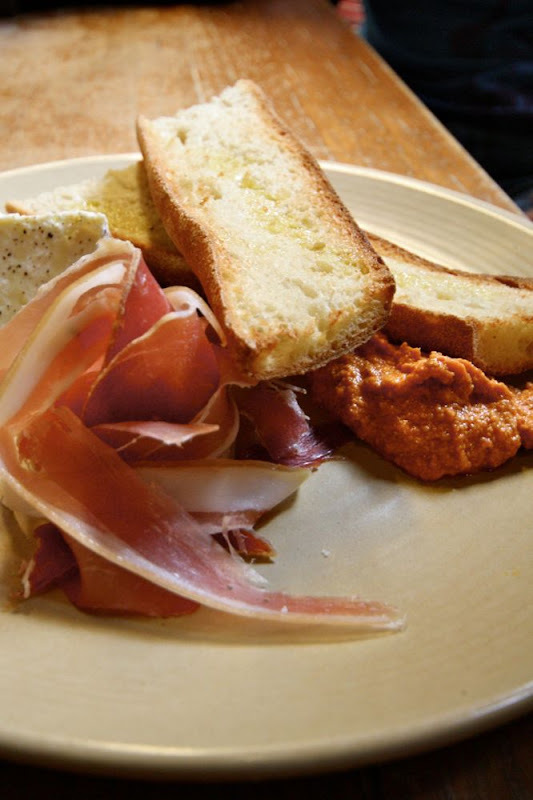 They also deliver on the axiomatic expectations with some tremendous coffee and a low-fi menu that delivers big taste with low fuss. The grungy warehouse complete with peeling paint on brick wall is pretty breezy, we loved the high ceilings. 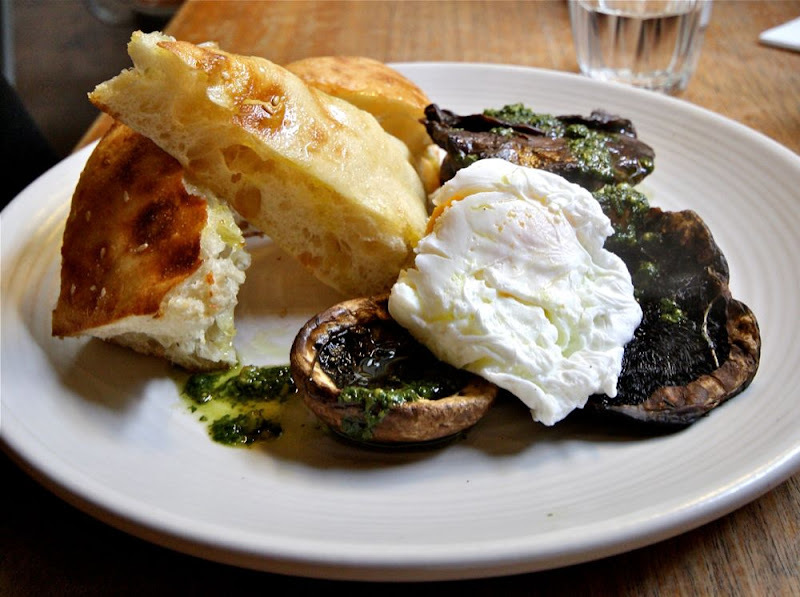 It had a great vibe and was full of young trendy urbanites relaxing over Saturday brunch. With cheap (vegetarian friendly) food, great coffee, and a predilection for bicycles, this place is a hipster magnet. 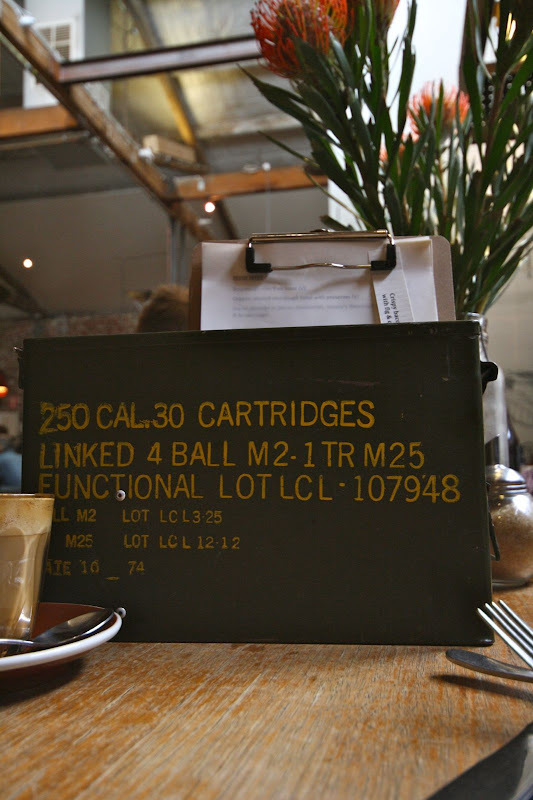 Here’s a sampling of shots of our sampling of the menu (also, a repurposed ammunition box serves as the menu holder). The food was fresh and tasty, with great natural flavour combos. 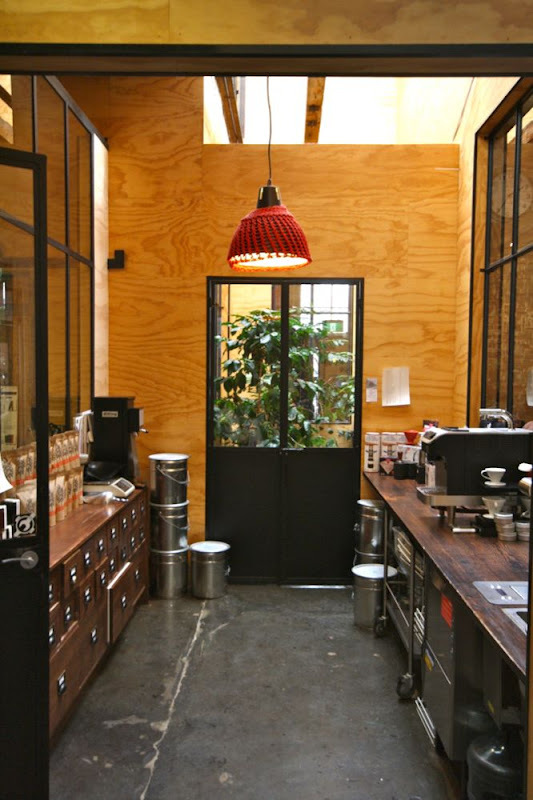 This coffee lab, complete with coffee pot plants growing under lamps, is a bit of a coffee-geek’s delight. So, the coffees… my single origin Guatamalan Finca La Soledad was fruity and I’d say a bit dark-cherryish in milk, the tasting notes on the pretty brilliant Seven Seeds website promises stone fruit and cocoa. Their latte art was pretty special, the flavours of the house blend cut nicely through the milk, and temperature was not a concern. In all, this was a pretty solid, and almost spectacular, start to our Saturday morning in Melbourne. 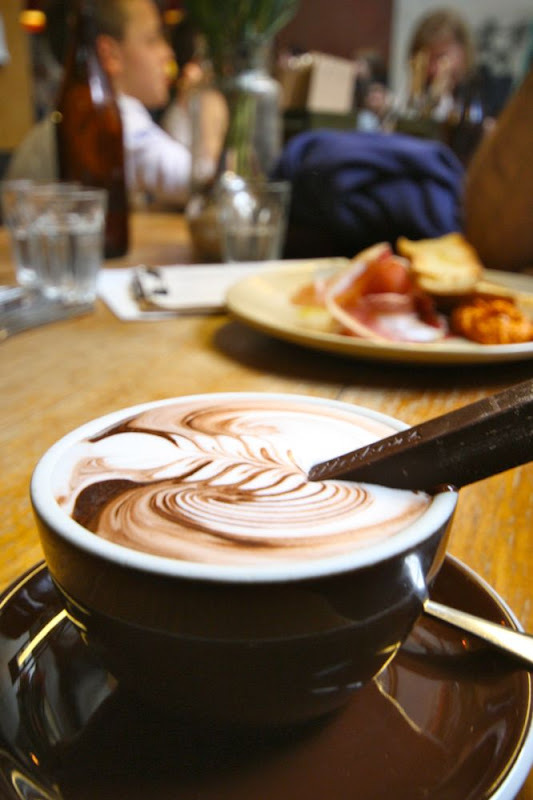 They, like a bunch of Melbourne coffee joints, are getting the most out of their shiny Synessos. The Synesso just edged out the Slayer for popularity in the cafes we checked out over our weekend.